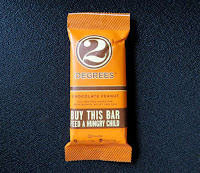 The next time I have a craving for chocolate and peanut butter, I'll have one of these Chocolate Peanut bars from Two Degrees, Inc. (San Francisco, CA) instead. 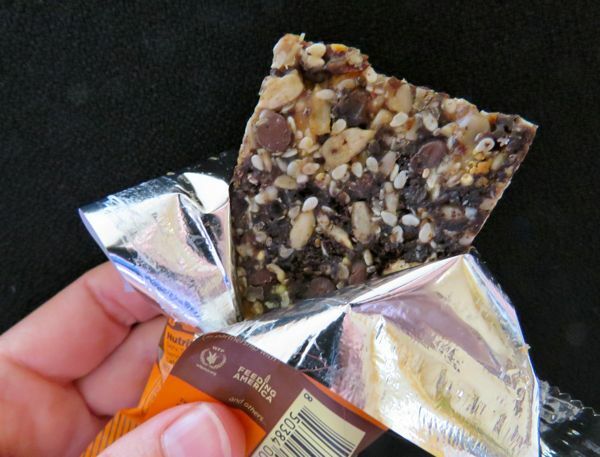 This chewy, almost crunchy, complex and interesting Chocolate Peanut bar did contain, as expected, both chocolate and peanuts (and peanut butter). However, the chocolate and peanuts were were incorporated into a satisfying and filling mix of seeds: sunflower, sesame, quinoa*, millet and chia seeds, and other ingredients (rice crisps, raisins, plum puree). 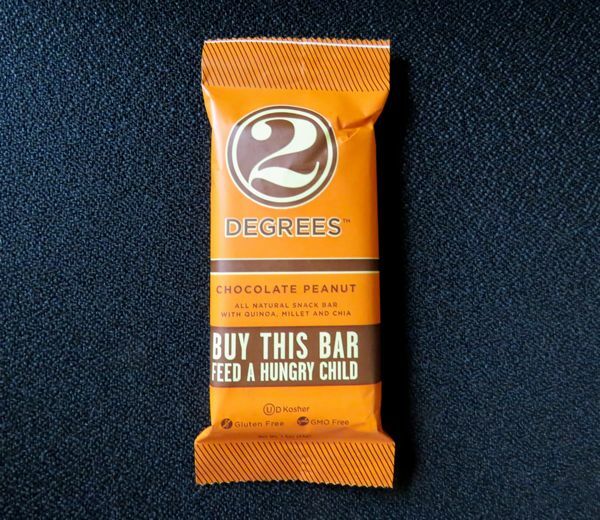 The bar was sweet, but without being overly so. *Yes, quinoa is a seed too. The plant is related to spinach and beets (rather than grains); and the part we eat is considered a seed.